You use your shoulder joints constantly. You use them so much that you probably don’t even think about it when lifting a fork to your mouth or reaching to retrieve something. However, if something is wrong with your shoulder, you feel it immediately in the form of an ache or searing twinge. Instead of missing out on life in New York City, you should get your shoulder pain taken care of early. The faster the cause can be determined, the faster you can begin your treatment with New York Pain Care and the faster your life can return to normal. The first step to staying active and pain free is prevention. Prior to engaging in everyday activities or (especially) sports, take a few minutes to stretch. While these stretches may seem mundane after a while, they serve an important function and warm your muscles so that they are less likely to tear. Take a minute consider how to handle jobs like snow removal or lifting heavy objects and prepare properly. If necessary, wear a brace to help support your arms, back or joints. Do not lift more than you safely can, and team lift when possible to protect your shoulders and back. Make sure to take breaks every so often to rest your muscles. Everyday Strain- For instance, one of these snowstorms may finally hit you where it hurts when you shovel your walk. Or perhaps you may strain yourself trying to reach the top shelf at the supermarket. 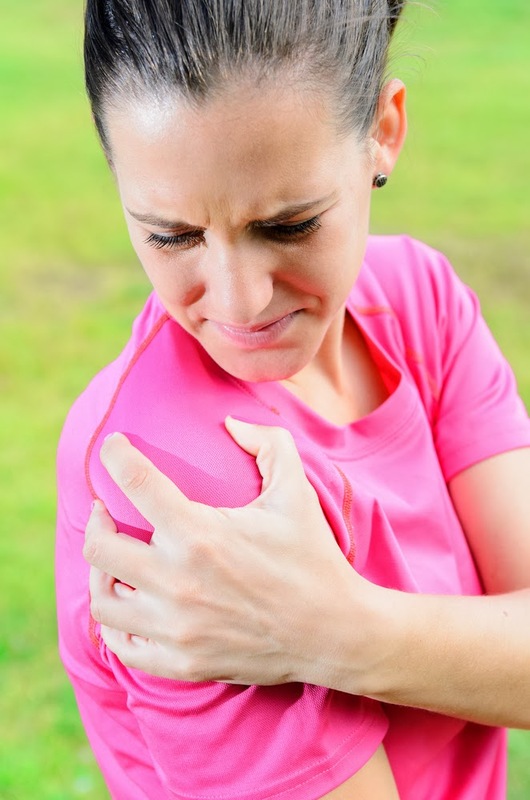 Accidents- Everything from hitting your shoulder on a jutting corner to falling off a ladder or being involved in a car accident can take a toll on your shoulder's health and functionality. Sports- Sports can also do a number on your shoulders. From pitching for your local softball team to skating in a cutthroat hockey game, your shoulders are at risk. If you suffer an injury, do not hide it, as this may not only lead to improper healing, but also keep you from competing in the long run. How shoulder pain should be handled depends on various factors. These can include the manner of your injury, its severity, and your medical history. While the goal of treatment is to help you return to normal life as quickly as possible, at New York Pain Care, we also have to look at the long term effects. If you are experiencing shoulder pain in New York City, turn to the shoulder pain experts at New York Pain Care. Call us at 212-604-1300 or book an appointment online now! Take care of your shoulder. You use it all day, every day. Protect to prevent!